(Above) Two Selous Scouts on patrol some were along the Zambezi River. 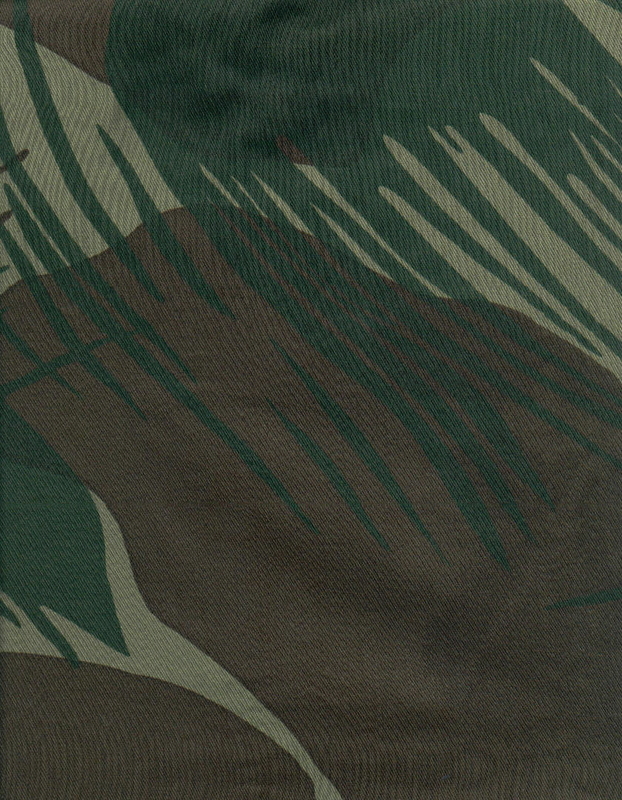 Scouts are armed with the R4 (FN FAL), wearing the traditional "bush shorts" and webbing. Note that these scouts are cleanly shaven, quite rare. In 1967 during Operation Nickel and Operation Cauldron, the two initial terrorist incursions into Rhodesia, the need became apparent in the Army for the services of skilled, aggressive trackers. To fill this need, a small team of instructors under the aegis of the School of Infantry, set up a tracking school at Kariba. With the commencement of Op Hurricane in December 1971 the requirement for even more trackers was forcibly revealed and to overcome the shortage it was decided to form a tracking unit. The Tracking School, or “Takkie Wing” as it was known formed the nucleus of the new unit and was named the “Selous Scout’s”. The Selous Scouts is an entirely integrated multiracial unit comprised of African Regular and both Territorial and Regular European Soldiers, all of whom are volunteers required to pass a selection course to gain entry. The members of the Unit enjoy a special and possibly unique relationship, which has resulted in the Unit’s numerous successes, many of which will never be officially chronicled. Where possible the customs of both races are incorporated into the Unit life and parade procedures. For example the normal Infantry colors are dispensed with and a Standard is carried in lieu. The Standard fits the African custom of totems and its symbolic significance is more easily understood. (Above) Osprey bird of prey, in its stylized "striking" pose. This was the adopted insignia for the scouts, it was most recognized when worn on their brown beret, it could also be found on the stable belt when in garrison or parade. (Below Left) A scout "blackened-up" with a black knit watch cap, from a distance this gave the impression that he was a African and not from the "White Tribe". This scout wears a pair of "Takkies", modified pro-hockey shoes. The Unit Barracks at Inkomo, near Salisbury is named after the founder member of the Unit, Sergeant Andre Rabie who was an outstanding soldier and a particularly skilled tracker. He pioneered many new techniques in terrorist hunting with outstanding success. He was killed on operations. 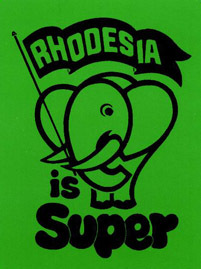 The Regimental colours are green and brown which are the basic and dominant colours of the Rhodesian bush. 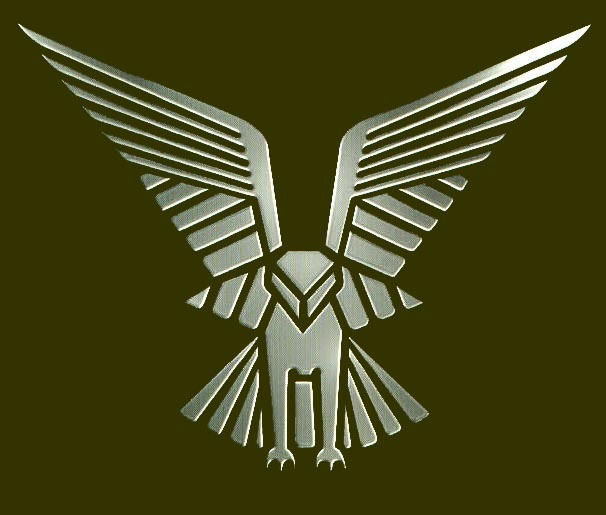 The Unit badge is a stylized Osprey, noted bird of prey ~ swift and courageous. The African soldiers have difficulty pronouncing the words Selous Scouts and have abbreviated this to “Selousie”. (above) A pair of the famous Selous Scout wings. (Left) The Standard of the scouts, this was taken by the scouts in 1980 to South Africa were the RECCEs have adopted it, in respect to the the Regiment. (Below) A Selous Scout stops on the follow-up to confirm ground spoor. The scouts were all superb in bushcraft and combat tracking.